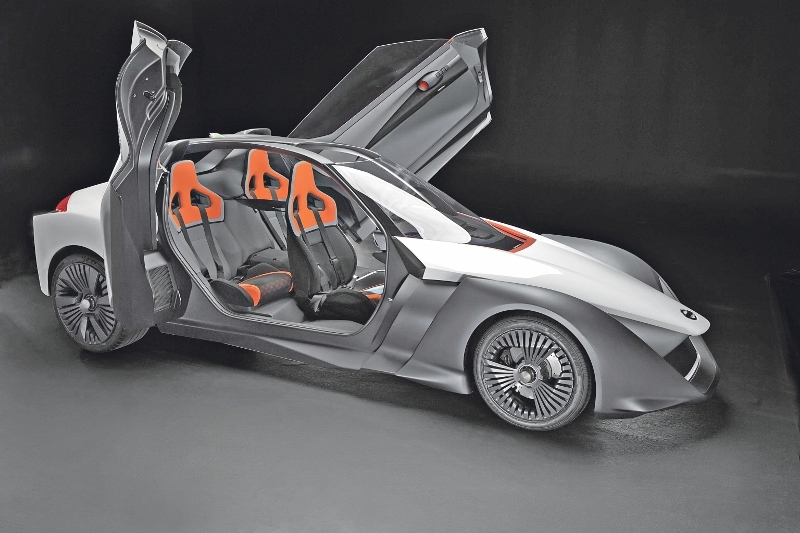 This is the BladeGlider, Nissan’s multi-million pound concept-take on the future of electric vehicles. It’s a mad, arrow-shaped, electric-powered concept car that the Japanese firm hopes will prove the future of EVs is far from dull. Before we go on, you need to know that the chances of you being able to order a BladeGlider from your local dealer any time soon is highly unlikely. This is just one of two produced – a duo made in a partnership between Nissan and F1 experts Williams – and they’re likely to be the last. Well, in this form at least. Nissan says that they want to make people realise electrification doesn’t mean dull, and a sports car concept as Batmobile-a-like as this is, proves otherwise. Part Robin Reliant, part McLaren F1, part Caterham, the concept is designed to stun. With rear-hinged doors and a three-seat layout, which sees the two passengers sit just behind and either side of the driver, a long tapered nose it’s definitely a bit different. Size-wise, you’re looking at a car similar in length, width and wheelbase to a Ford Focus. That three-seat layout makes sense, and not just for drivers who really dislike their passengers. Rear legroom is business-class in proportion, letting rear occupants stretch out on the long flat floor, while the added weight over the rear axle improves handling. Other highlights include the motorsport inspired steering wheel, swathed with buttons, toggles and a display of vital statistics. The cameras-instead-of-wing-mirrors dream becoming reality, like on the similarly forward-thinking VW XL1. Rear-hinged, dihedral doors that provide access to an al fresco cabin, with just a roll cage between your bounce and the sky. The BladeGlider is quick too, not supercar fast, but enough to push you back into the sports seats and throw you around enough to induce a whiff of travel sickness. The power is metered between the two motors via torque vectoring, to ensure any understeer, from that narrow front end, is kept in check. It comes in three flavours: ‘off’, ‘agile’, and ‘drift mode’. It features two 130kw (174bhp) motors in each rear wheel, which are good enough to propel it to 60mph in under five seconds and on to a top speed of close to 120mph.